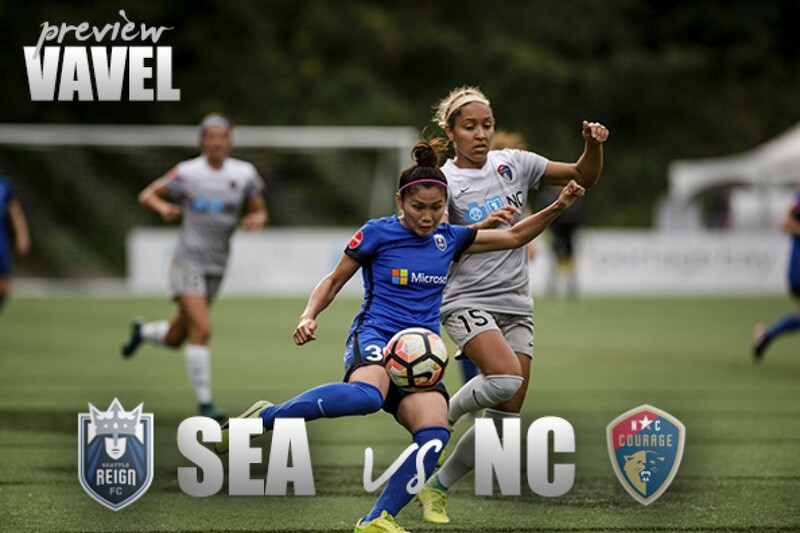 The Seattle Reign host the North Carolina Courage this Saturday at 4:00 PM EST. Could this be a potential NWSL Championship Game preview? If the playoffs pan out how the regular season has so far it seems like the most likely matchup. The North Carolina Courage have shown themselves to be the class of the league this season, while the Seattle Reign have been the clear best of the rest. North Carolina have been historically good this season in American professional women's soccer terms. You don't need me to tell you that they're good, nor exactly how good. That's been very obvious since about May. What is really interesting is that they seemingly haven't slowed down since sealing their post-season fate. They've known that they'll finish top of the table for some time now, yet they haven't taken their foot of the gas. Ever since they clinched a playoff spot with a 4-0 win over Sky Blue FC on July 14, they went through they're next four games unbeaten, and look likely to continue down this path and finish this season with only one loss. This game will not be easy to get a result from however. Despite already beating the Reign in Seattle earlier this season 4-1, the circumstances surrounding that game were very different from what they are now. The Courage were coming off of their first and so far only loss of the season at home to the Utah Royals. This made this next game against Seattle an absolute must win, bounce back game for the Courage, even though a draw would have done just as well in the big picture. This meant that a super motivated, and super pissed off, North Carolina team walking into Memorial Stadium and laying down the gauntlet against the rest of the league to even try and challenge them by beating what many believe is the second best team in the league in the Seattle Reign. Now though, North Carolina could lose this game and it won't affect their standing in the table at all. It may however give Seattle, arguably their biggest title threat a belief that they can beat them when the game actually means something in a potential playoff, or even title game matchup. OUT: Jaelene Hinkle (left ankle sprain), Yuri Kawamura (left knee ACL tear – SEI), Julie King (left ankle repair). For Seattle this game is huge. A win here guarantees them second in the table and a home playoff game, potentially against their Cascadia rivals the Portland Thorns. A win here will also give them the belief that they can beat anybody. Which going to the playoffs with the talent they have and that sort of belief could make them an extremely dangerous in the postseason. The come into this game in good form, unbeaten in their last five, and with only one loss in their last ten games. They have also only given up three goals in those ten games as well. The team's stellar defense is what has really pushed this team as high as they've gone this season. They have only scored 27 goals this season, second lowest of the playoff contenders with Utah being the only team in that group to score fewer. On the other hand, they have only conceded 15 goals, fewest of any team in the entire league. Come playoff time, this defensive structure will be what is needed for them to have a chance at winning the title. OUT: Yael Averbuch (illness – SEI), Kiersten Dallstream (right knee sprain – SEI), Allie Long (right knee sprain), Beverly Yanez (right foot fracture). 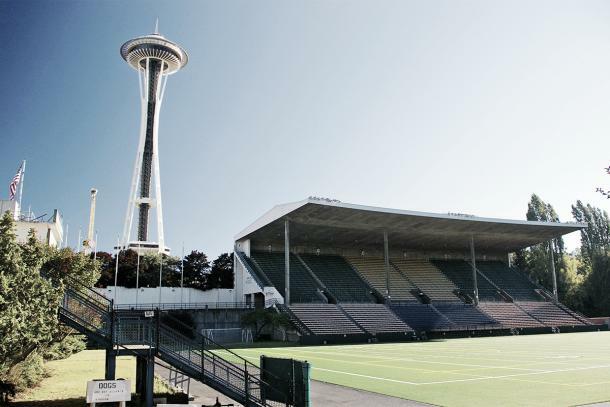 The Seattle Reign host the North Carolina Courage this Saturday, August 25, at 7:00 PM EST. The match can be streamed on the NWSL app, as well as nwslsoccer.com.